Hungarian Defence Forces (Hungarian: Magyar Honvédség) is the national defence force of Hungary. Since 2007, the Hungarian Armed Forces is under a unified command structure. The Ministry of Defence maintains the political and civil control over the army. A subordinate Joint Forces Command is coordinating and commanding the HDF corps. In 2016, the armed forces had 31,080 personnel on active duty, the operative reserve brought the total number of troops to fifty thousand. In 2017, military spending will be $1.21 billion, about 0.94% of the country's GDP, well below the NATO target of 2%. In 2012, the government adopted a resolution in which it pledged to increase defence spending to 1.4% of GDP by 2022. Military service is voluntary, though conscription may occur in wartime. In a significant move for modernization, Hungary decided in 2001 to buy 14 JAS 39 Gripen fighter aircraft for about 800 million EUR. Hungary bought two used Airbus A319 and two Falcon 7X transport aircraft. Three C-17 III Globemaster transport aircraft are operating from Pápa Air Base under Hungarian nationality mark but are maintained by the NATO Heavy Airlift Wing (HAW). In 2017 Hungary signed the contract to buy 20 new Airbus military helicopters and ground attack bombs for the Gripens. Hungarian National Cyber Security Center is re-organized in 2016 in order to become more efficient through cyber security. In 2016, the Hungarian military has about 700 troops stationed in foreign countries as part of international peacekeeping forces, including 100 HDF troops in the NATO-led ISAF force in Afghanistan, 210 Hungarian soldiers in Kosovo under command of KFOR, and 160 troops in Bosnia and Herzegovina. Hungary sent a 300 strong, logistics unit to Iraq in order to help the US occupation with armed transport convoys, though public opinion opposed the country's participation in the war. One soldier was killed in action by a roadside bomb in Iraq. During the 18th and 19th century, Hungarian Hussars rose to international fame and served as a model for light cavalry in many European countries. In 1848–49 HDF achieved incredible successes against better-trained and equipped Austrian forces, despite the obvious advantage in numbers on the Austrian side. The 1848–49 Winter Campaign of Józef Bem and the Spring Campaign of Artúr Görgey are to this day taught at prestigious military schools around the globe, including at West Point Academy in the United States. In 1872, the Ludovica Military Academy officially began training cadets. By 1873 HDF already had over 2,800 officers and 158,000 men organized into eighty-six battalions and fifty-eight squadrons. During World War I out of the eight million men mobilized by Austro-Hungarian Empire, over one million died. During the 1930s and early 1940s, Hungary was preoccupied with the regaining the vast territories and huge amount of population lost in the Trianon peace treaty at Versailles in 1920. Conscription was introduced on a national basis in 1939. The peacetime strength of the Royal Hungarian Army grew to 80,000 men organized into seven corps commands. During World War II the Hungarian Second Army was near to total devastation on banks of the Don River in December 1942 in Battle for Stalingrad. During the Socialist and the Warsaw Pact era (1947–1989), the entire 200,000 strong Southern Group of Forces was garrisoned in Hungary, complete with artillery, tank regiments, air force and missile troops with nuclear weapons. As of 2016 Global Peace Index shows, Hungary is one of the world's most peaceful countries, placed 19th out of 163. The Hungarian Air Force has 14 JAS 39 Gripens on lease, including two two-seaters (C/D versions). Article 45 of the Constitution of Hungary states that the core duties of the Defence Forces are: "military defence of the independence, territorial integrity and borders of Hungary and the performance of collective defence and peacekeeping tasks arising from international treaties, as well as carrying out humanitarian activities in accordance with the rules of international law." The President holds the title of commander-in-chief of the Defence Force. The Government (chaired by the Prime Minister) decides on the deployment and operations undertaken by the Defence Force, all deployments abroad with the exception of EU or NATO missions, needs permission from the National Assembly. The Minister of Defence jointly with Chief of Staff administers the Defence Force, including the Hungarian Ground Force and the Hungarian Air Force. Since 2007, the Hungarian Defence Force has been under a unified command structure with all operational units falling under the Hungarian Defense Forces Combat Command. The two branches of the Defense Forces – the Hungarian Air Force and Hungarian Ground Forces have now only administrative functions. Logistic Support for the defense forces is managed by the Hungarian Defense Forces Logistics Center, while the training for all units is the responsibility of the Hungarian Defense Forces Formation, Preparation and Training Command. The Hungarian Defense Forces Central Military Band (Magyar Honvédség Központi Zenekar) is the representative musical ensemble of the HDF. Although it was officially founded in 1962, its history goes back to 1896, when the first Hungarian military band of music was established in Budapest. Today, the Central Band maintains a fanfare unit as well as a drum corps. The primary task of the Central Band is to take part in national, military, and protocol events. Other activities include cultivation of Hungarian soldiers and wind-music traditions, the promotion and amateur brass bands. The Central Band is a regular participant in international and domestic festivals, and nearly a dozen CDs of performances by the Central Band have been published. A guard at Sándor Palace. The 32nd National Honor Guard Battalion (MH 32. Budapest Őr- és Díszezred) is the official Guard of honour unit of the HDF. It was founded on 1 January 2011 in order for the regiment to take part in the welcoming of foreign dignitaries to Budapest and in the changing of the guard at Sándor Palace. The official ceremonial honour guard of the Hungarian People's Republic was the 7015th Ceremonial Regiment of the Hungarian People's Army (Hungarian: Magyar Néphadsereg 7015 Dísz -és őrezred). The Hungarian tribes of Árpád vezér who came to settle in the Carpathian Basin were noted for their fearsome light cavalry, which conducted frequent raids throughout much of Western Europe (as far as present-day Spain), maintaining their military supremacy with long range and rapid-firing reflex bows. Not until the introduction of well-regulated, plate-armored knight heavy cavalry could German emperors stop the Hungarian armies. During the Árpáds the light cavalry based army was transformed slowly into a western-style one. The light cavalry lost its privileged position, replaced by a feudal army formed mainly from heavy cavalry. The Hungarian field armies were drawn up into an articulated formation (as it happened in Battle of Przemyśl (1099), Battle at Leitha (1146), Battle of Morvamező (1278), (1349), in three main battle (formation) (1146, 1278, 1349). According to the contemporary sources and later speculations, the first line was formed by light cavalry archers (Battle of Oslava (1116, 1146, 1260, 1278). Usually, they started the battle followed by a planned retreat (1116, 1146), Battle of Kressenbrunn (1260). The major decisive battles of the Hungarian army were placed in the second or third lines consisted mainly of the most valuable parts of the army – in general heavy cavalry (1146, 1278, 1349). The commanders of the Hungarian Kingdom's army used different tactics, based on a recognition of their own and the enemies' (Holy Roman Empire, Pechenegs, Uzes, Cumans, Mongols, Byzantine Empire) abilities and deficiencies. The Hungarian knight army had its golden age under King Louis the Great, who himself was a famed warrior and conducted successful campaigns in Italy due to family matters (his younger brother married Joanna I, Queen of Naples who murdered him later.) King Matthias Corvinus maintained very modern mercenary-based royal troops, called the Black Army. King Matthias favoured ancient artillery (catapults) as opposed to cannons, which were the favourite of his father, Johannes Hunyadi, former Regent of Hungary. During the Ottoman invasion of Central Europe (between late 14th century and circa 1700) Hungarian soldiers protected fortresses and launched light cavalry attacks against the Turks (see Hungarian Hussars). The northern fortress of Eger was famously defended in the autumn of 1552 during the 39-day Siege of Eger against the combined force of two Ottoman armies numbering circa 120,000 men and 16 ultra-heavy siege guns. The victory was very important, because two much stronger forts of Szolnok and Temesvár had fallen quickly during the summer. Public opinion attributed Eger's success to the all-Hungarian garrison, as the above two forts have fallen due to treason by the foreign mercenaries manning them. In 1596, Eger fell to the Ottomans for the same reason. In the 1566 Battle of Szigetvár, Miklós Zrínyi defended Szigetvár for 30 days against the largest Ottoman army ever seen up to that day, and died leading his remaining few soldiers on a final suicide charge to become one of the best known national heroes. His great-grandson, Miklós Zrínyi, poet and general became one of the better-known strategists of the 1660s. In 1686, the capital city Buda was freed from the Ottomans by an allied Christian army composed of Austrian, Hungarian, and Western European troops, each roughly one-third of the army. The Habsburg then annexed Hungary. Hungarian hussars in battle during the Hungarian Revolution of 1848. Under Habsburg rule, Hungarian Hussars rose to international fame and served as a model for light cavalry in many European countries. During the 18th and 19th centuries hundreds of thousands of forcibly enrolled Hungarian males served 12 years or more each as line infantry in the Austrian Imperial Army. Two independence wars interrupted this era, that of Prince Francis II Rákóczi between 1703 and 1711 and that of Lajos Kossuth in 1848–1849. A July 11, 1848 act of parliament in Budapest called for the formation of an army, the Honvédség, of 200,000 which would use the Magyar language of command. It was to be formed around already extant imperial units, twenty battalions of infantry, ten hussar regiments, and two regiments of Székely from the Transylvanian Military Frontier. They were further joined by eight companies of two Italian regiments stationed in Hungary and parts of the Fifth Bohemian Artillery Regiment. In 1848–1849 the Honvédség (mostly made up of enthusiastic patriots with no prior military training) achieved incredible successes against better-trained and -equipped Austrian forces, despite the obvious advantage in numbers on the Austrian side. The Winter Campaign of Józef Bem and the Spring Campaign of Artúr Görgey are to this day taught at prestigious military schools around the globe, including at West Point Academy in the United States. Having suffered initial setbacks, including the loss of Pest-Buda, the Honvéd took advantage of the Austrians' lack of initiative and re-formed around the Debrecen-based Kossuth government. The Hungarians advanced again and by the end of spring 1849, Hungary was basically cleared of foreign forces, and would have achieved independence, were it not for the Russian intervention. At the request of the Austrian emperor Franz Joseph, the Russians invaded with a force of 190,000 soldiers – against the Honvédség's 135,000 – and decisively defeated Bem's Second Army in Transylvania, opening the path into the heart of Hungary. This way the Austrian-Russian coalition outnumbered Hungarian forces 3:1, which led to Hungary's surrender at Világos on 13 August 1849. Sándor Petőfi, the great Hungarian poet, went missing in action in the Battle of Segesvár, against invading Russian forces. In April 1867, the Austro-Hungarian Empire was established. Franz Josef, the head of the ancient Habsburg dynasty, was recognized as both Emperor of Austria and King of Hungary. Nevertheless, the issue of what form the Hungarian military would take remained a matter of serious contention between Hungarian patriots and Austrian leaders. As the impasse threatened the political union, Emperor Franz Josef ordered a council of generals in November of the same year. Ultimately, the leaders resolved on the following solution: in addition to the joint (k.u.k.) army, Hungary would have its own defence force, whose members would swear their oath to the King of Hungary (who was also Emperor of Austria) and the national constitution, use the Hungarian language of command, and display their own flags and insignia. (Austria would also form its own parallel national defence force, the Landwehr.) As a result of these negotiations, on 5 December 1868, the Royal Hungarian Landwehr (Magyar Kiralyi Honvédség, or Defence Force) was established. The Honvédség was usually treated generously by the Diet in Budapest. By 1873 it already had over 2,800 officers and 158,000 men organized into eighty-six battalions and fifty-eight squadrons. In 1872, the Ludovika Academy officially began training cadets (and later staff officers). Honvédség units engaged in manoeuvres and were organized into seven divisions in seven military districts. While artillery was not allowed, the force did form batteries of Gatling guns in the 1870s. In the midst of trouble between the imperial government and the parliament in 1906, the Honvédség was further expanded and finally received its own artillery units. In this form, the force approached the coming world war in most respects as a truly "national" Hungarian army. Hungarian soldiers "fought with distinction" on every front contested by Austria-Hungary in the First World War. Honvédség units (along with the Austrian Landwehr) were considered fit for front line combat service and equal to those of the joint k.u.k. army. They saw combat especially on the Eastern Front and at the Battles of the Isonzo on the Italian Front. Out of the eight million men mobilized by Austria-Hungary, over one million died. Hungarians as a national group were second only to German Austrians in their share of this burden, experiencing twenty-eight war deaths for every thousand persons. After the collapse of the Austro-Hungarian empire in late 1918, the Red Army of the Hungarian communist state (Hungarian Soviet Republic) conducted successful campaigns to protect the country's borders. However, in the Hungarian–Romanian War of 1919 Hungary came under occupation by the Romanian, Serbian, American, and French troops, as after four years of extensive fighting, the country lacked both the necessary manpower and equipment to fend off foreign invaders. In accordance with the Treaty of Bucharest, upon leaving, the Romanian army took substantial compensation for reparations. This included agricultural goods and industrial machinery as well as raw materials. The Trianon Treaty limited the Hungarian National Army to 35,000 men and forbad conscription. The army was forbidden to possess tanks, heavy armor, and an air force. On 9 August 1919, Admiral Miklós Horthy united various anti-communist military units into an 80,000-strong National Army (Nemzeti Hadsereg). On 1 January 1922, the National Army was once again redesignated the Royal Hungarian Army. On 5 March 1938, Prime Minister Kálmán Darányi announced a rearmament program (the so-called Győr Programme, named after the city where it was announced to the public). Starting 1 October, the armed forces established a five-year expansion plan with Huba I-III revised orders of battle. Conscription was introduced on a national basis in 1939. The peacetime strength of the Royal Hungarian Army grew to 80,000 men organized into seven corps commands. In March 1939, Hungary launched an invasion of the newly formed Slovak Republic. Both the Royal Hungarian Army and the Royal Hungarian Air Force fought in the brief Slovak-Hungarian War. This invasion was launched to reclaim a part of the Slovakian territory lost after World War I. On 1 March 1940, Hungary organized its ground forces into three field armies. The Royal Hungarian Army fielded the Hungarian First Army, the Hungarian Second Army, and the Hungarian Third Army. With the exception of the independent "Fast Moving Army Corps" (Gyorshadtest), all three Hungarian field armies were initially relegated to defensive and occupation duties within the regained Hungarian territories. In November 1940, Hungary signed the Tripartite Pact and became a member of the Axis with Nazi Germany and Fascist Italy. In April 1941, in order to regain territory, Hungary joined the Germans in the invasion of Yugoslavia. After the controversial Kassa attack, elements of the Royal Hungarian Army joined the German invasion of the Soviet Union, Operation Barbarossa. In the late summer of 1941, the Hungarian "Rapid Corps" (Gyorshadtest), alongside German and Romanian army groups, scored a huge success against the Soviets at the Battle of Uman. A little more than a year later and contrasting sharply with the success at Uman, was the near total devastation of the Hungarian Second Army on banks of the Don River in December 1942 during the Battle for Stalingrad. During 1943, the Hungarian Second Army was re-built. In late 1944, as part of Panzerarmee Fretter-Pico, it participated in the destruction of a Soviet mechanized group at the Battle of Debrecen. But this proved to be a Pyrrhic victory. Unable to re-build again, the Hungarian Second Army was disbanded towards the end of 1944. To keep Hungary as an ally, the Germans launched Operation Margarethe and occupied Hungary in March 1944. However, during the Warsaw Uprising, Hungarian troops refused to participate. On 15 October 1944, the Germans launched Operation Panzerfaust and forced Horthy to abdicate. Pro-Nazi Ferenc Szálasi was made Prime Minister by the Germans. On 28 December 1944, a provisional government under the control of the Soviet Union was formed in liberated Debrecen with Béla Miklós as its Prime Minister. Miklós was the commander of the Hungarian First Army, but most of the First Army sided with the Germans and most of what remained of it was destroyed about 200 kilometres north of Budapest between 1 January and 16 February. The pro-Communist government formed by Miklós competed with the pro-Nazi government of Ferenc Szálasi. The Germans, Szálasi, and pro-German Hungarian forces loyal to Szálasi fought on. On 20 January 1945, representatives of the provisional government of Béla Miklós signed an armistice in Moscow. But forces loyal to Szálasi still continued to fight on. The Red Army, with assistance from Romanian army units, completed the encirclement of Budapest on 29 December 1944 and the Siege of Budapest began. On 2 February 1945, the strength of the Royal Hungarian Army was 214,465 men, but about 50,000 of these had been formed into unarmed labor battalions. The siege of Budapest ended with the surrender of the city on 13 February. But, while the German forces in Hungary were generally in a state of defeat, the Germans had one more surprise for the Soviets. In early March 1945, the Germans launched the Lake Balaton Offensive with support from the Hungarians. This offensive was almost over before it began. By 19 March 1945, Soviet troops had recaptured all the territory lost during a 13-day German offensive. After the failed offensive, the Germans in Hungary were defeated. Most of what remained of the Hungarian Third Army was destroyed about 50 kilometres west of Budapest between 16 March and 25 March 1945. Officially, Soviet operations in Hungary ended on 4 April 1945 when the last German troops were expelled. Some pro-fascist Hungarians like Szálasi retreated with the Germans into Austria and Czechoslovakia. During the very last phase of the war, Fascist Hungarian forces fought in Vienna, Breslau, Küstrin, and along the Oder River. On 7 May 1945, General Alfred Jodl, the German Chief of Staff, signed the document of unconditional surrender for all German forces. Jodl signed this document during a ceremony in France. On 8 May, in accordance with the wishes of the Soviet Union, the ceremony was repeated in Germany by Field Marshal Wilhelm Keitel. On 11 June, the Allies agreed to make 9 May 1945 the official "Victory in Europe" day. Szálasi and many other pro-fascist Hungarians were captured and ultimately returned to Hungary's provisional government for trial. During the Socialist and the Warsaw Pact era (1947–1989), the entire 200,000 strong Southern Group of Forces was garrisoned in Hungary, complete with artillery, tank regiments, air force and missile troops (with nuclear weapons). It was, by all means, a very capable force that made little contact with the local population. Between 1949 and 1955 there was also a huge effort to build a big Hungarian army. All procedures, disciplines, and equipment were exact copies of the Soviet Red Army in methods and material, but the huge costs collapsed the economy by 1956. During the autumn 1956 revolution, the army was divided. When the opening demonstrations on 23 October 1956 were fired upon by ÁVH secret policemen, Hungarian troops sent to crush the demonstrators instead provided their arms to the latter or joined them outright. While most major military units in the capital were neutral during the fighting, thousands of rank-and-file soldiers went over to the Revolution or at least provided the revolutionaries with arms. Many significant military units went over to the uprising in full, such as the armored unit commanded by Colonel Pál Maléter which joined forces with the insurgents at the Battle of the Corvin Passage. However, there were 71 recorded clashes between the people and the army between 24 and 29 October in fifty localities; depending on the commander; these were typically either defending certain military targets from rebel attack or fighting the insurgents outright, depending on the commander. When the Soviets crushed the Revolution on 4 November, the Army put up sporadic and disorganized resistance; lacking orders, many of their divisions were simply overpowered by the invading Soviets. After the Revolution was crushed in Budapest, the Soviets took away most of the Hungarian People's Army's equipment, including dismantling the entire Hungarian Air Force, because a sizable percentage of the Army fought alongside the Hungarian revolutionaries. Three years later in 1959, the Soviets began helping rebuild the Hungarian People's Army and resupplying them with new arms and equipment as well as rebuilding the Hungarian Air Force. Satisfied that Hungary was stable and firmly committed once again to the Warsaw Pact, the Soviets offered the Hungarians a choice of withdrawal for all Soviet troops in the country. The new Hungarian leader, János Kádár, asked for all the 200,000 Soviet troops to stay, because it allowed the socialist Hungarian People's Republic to neglect its own draft-based armed forces, quickly leading to deterioration of the military. Large sums of money were saved that way and spent on feel-good socialist measures for the population, thus Hungary could become "the happiest barrack" in the Soviet Bloc. Limited modernization, through, would happen in from the mid 1970s onward to replace older stocks of military equipment with newer ones to enable the HPA, in a small way, to honor its Warsaw Pact commitments. Training for conscripts was poor and most of those drafted were actually used as a free labour force (esp. railway track construction and agricultural work) after just a few weeks of basic rifle training. Popular opinion grew very negative towards the Hungarian People's Army and most young men tried to avoid the draft with bogus medical excuses. In 1997, Hungary spent about 123 billion HUF ($560 million) on defence. Hungary became a member of NATO on 12 March 1999. Hungary provided airbases and support for NATO's air campaign against Serbia and has provided military units to serve in Kosovo as part of the NATO-led KFOR operation. Hungary has sent a 300 strong logistics unit to Iraq in order to help the US occupation with armed transport convoys, though public opinion opposed the country's participation in the war. One soldier was killed in action due to a roadside bomb in Iraq. The parliament refused to extend the one year mandate of the logistics unit and all troops have returned from Iraq as of mid-January 2005. Hungarian troops are still in Afghanistan as of early 2005 to assist in peace-keeping and de-talibanization. Hungary will most probably replace its old UAZ 4x4 vehicles with the modern Iveco LMV types. Hungarian forces deploy the Gepárd anti-materiel rifle, which is a heavy 12.7 mm portable gun. 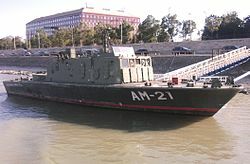 This equipment is also in use by the Turkish and Croatian armed forces, among other armies. In a significant move for modernization, Hungary decided in 2001 to lease 14 JAS 39 Gripen fighter aircraft (the contract includes 2 dual-seater airplanes and 12 single-seaters as well as ground maintenance facilities, a simulator, and training for pilots and ground crews) for 210 billion HUF (about 800 million EUR). Five Gripens (3 single-seaters and 2 two-seaters) arrived in Kecskemét on 21 March 2006, expected to be transferred to the Hungarian Air Force on March 30. 10 or 14 more aircraft of this type might follow up in the coming years. In early 2015 Hungary and Sweden extended the lease-program for another 10 years with a total of 32.000 flight-hours (95% increase) for only 45% increase in cost. HDF UNFICYP Contingent, Cyprus and specific other missions. Wikimedia Commons has media related to Military of Hungary. ^ Csákváriné Kottra, Györgyi (2011). Magyar zászlók a honfoglalástól napjainkig. Budapest: Kossuth Kiadó. p. 99. ISBN 978-963-09-6494-4. ^ Tarján M., Tamás. "1848. május 16. | A Batthyány-kormány megalapítja a magyar honvédsereget". Rubicon. Retrieved 9 June 2014. ^ HM Igazgatási és Jogi Főosztály, ed. (5 May 1990). "A honvédelmi miniszter 2/1990. (III. 31.) HM rendelete a honvédségi szervezetek elnevezéséről és bélyegzőhasználatáról". Honvédségi Közlöny. Zrínyi Katonai Könyv- és Lapkiadó. 46 (7): 137. ^ "1990. évi XVI. törvény a Magyar Köztársaság Alkotmányának módosításáról". 1000 év törvényei. Archived from the original on 14 July 2014. Retrieved 9 June 2014. ^ "2013. évi XCVII. törvény a honvédségi adatkezelésről, az egyes honvédelmi kötelezettségek teljesítésével kapcsolatos katonai igazgatási feladatokról.Zrínyi 2026 is a plan,to enlarge the number military personers to 40.000". CompLex Hatályos Jogszabályok Gyűjteménye. Archived from the original on 14 July 2014. Retrieved 9 June 2014. ^ Katonai alapismeretek (PDF). Budapest: Zrínyi Kiadó. 2010. p. 5. ISBN 978-963-327-490-3. ^ "NATO headquarters ready in Székesfehérvár. Defence Minister István Simicskó submitted a proposal to parliament in would increase to about 31,080 the number of certification status in HDF". ^ "International Security Assistance Force (ISAF): Key Facts and Figures" (PDF). Archived from the original (PDF) on 2014-07-14. ^ a b Szűcs, László. "Krétától Afganisztánig: Tíz békefenntartó misszió, amelyben magyar katonák vettek részt". Honvédelem.hu. ^ "Váltás az EUSEC RD Congo misszióban". Honvédelem.hu. ^ a b c "United Nations Peacekeeping – Troop and police contributors" (PDF). ^ "European Union Monitoring Mission (EUMM): Mission Facts and Figures". ^ "KFOR – Troop Numbers & Contribution Nations". Archived from the original on 2014-07-14. ^ "EUTM Mali: meghosszabbította a kormány a magyar részvételt". Honvédelem.hu. ^ "Négy embert küld a honvédség Szomáliába". Magyar Nemzet Online. ^ "The World Factbook – Hungary". CIA. ^ a b "Budget 2017: Hungary to spend €3.7 billion more than it should next year". hungarytoday.hu. Retrieved 2016-04-28. ^ "Hungary – Military Flags". Flags of the World. ^ "3/1996. (IV. 12.) HM rendelet a Magyar Honvédség jelképeiről és jelzéseiről". CompLex Hatályos Jogszabályok Gyűjteménye. Retrieved 9 June 2014. 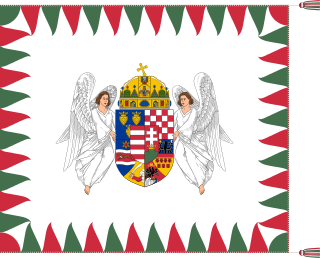 ^ "Hungary – Presidential Flag". Flags of the World. ^ "2011. évi CXIII. törvény a honvédelemről és a Magyar Honvédségről, valamint a különleges jogrendben bevezethető intézkedésekről". CompLex Hatályos Jogszabályok Gyűjteménye. Retrieved 9 June 2014. ^ See Article 9(2) of the Hungarian Constitution, Retrieved 2019-02-16. ^ See Article 47 of the Hungarian Constitution, Retrieved 2019-02-16. ^ Rothenburg, G. The Army of Francis Joseph. West Lafayette: Purdue University Press, 1976. p 29. ^ Rothenburg 1976, p. 32-33. ^ Rothenburg 1976, p. 35. ^ Rothenburg 1976, p. 75-76. ^ Rothenburg 1976, p. 77. ^ Rothenburg 1976, p. 78. ^ Rothenburg 1976, p. 85. ^ Rothenburg 1976, p. 173. ^ Rothenburg 1976, p. 218. ^ "Magyar Tudomny 2000. janur". Retrieved 23 December 2014. ^ a b Lendvai, Paul (2008). One Day That Shook the Communist World: The 1956 Hungarian Uprising and Its Legacy. Princeton, NJ: Princeton UP. ^ "Sweden, Hungary Extend Gripen Lease – Defense Update:". defense-update.com. Matei, Florina Cristiana. "The impact of NATO membership on military effectiveness: Hungary" In The Routledge handbook of civil-military relations, pp. 219–231. Routledge, 2013. The Swedish Army is a branch of the Swedish Armed Forces whose main responsibility is land operations. The Royal Danish Army is the land-based branch of the Danish Defence, together with the Danish Home Guard. For the last decade, the Royal Danish Army has undergone a massive transformation of structures, equipment and training methods, abandoning its traditional role of anti-invasion defence, and instead focusing on out of area operations by, among other initiatives, reducing the size of the conscripted and reserve components and increasing the active component, changing from 60% support structure and 40% operational capability, to 60% combat operational capability and 40% support structure. When fully implemented, the Danish Army will be capable of deploying 1,500 troops permanently on three different continents continuously, or 5,000 troops for a shorter period of time, in international operations without any need for extraordinary measures such as parliamentary approval of a war funding bill. The Romanian Land Forces is the army of Romania, and the main component of the Romanian Armed Forces. In recent years, full professionalisation and a major equipment overhaul have transformed the nature of the Land Forces. The Hungarian Air Force is the air force branch of the Hungarian Defence Forces. The Joint Support Service is a branch of the German Bundeswehr established in October 2000 as a result of major reforms of the Bundeswehr. It handles various logistic and organisational tasks of the Bundeswehr. The SKB is the fifth component of the Bundeswehr, the other five being the Army, Navy, Air Force, the Joint Medical Service and Cyber and Information Domain Service (Germany). As of 31 December 2018, the force is composed of 27,640 personnel. The Comando Truppe Alpine or COMTA commands the Mountain Troops of the Italian Army, called Alpini and various support and training units. It is the successor to the 4º Corpo d'Armata Alpino of the Cold War. The Alpini are light Infantry units specializing in Mountain Combat. The subordinate units of the COMTA distinguished themselves during combat in World War I and World War II. Vitéz Baron Sándor Szurmay de Uzsok was a Hungarian military officer and politician, who served as Minister of Defence for the Hungarian portion of the Dual Monarchy of Austria-Hungary between 1917 and 1918. The Logistics Battalion is the main central unit of the Support Command of the Estonian Defence Forces which provides various logistical support. This battalion has a logistical role in the Estonian Defence Forces along with Combat Service Support Battalions of the Infantry Brigades of Estonian Land Forces..
Heinrich Hentzi von Arthurm was a Hungarian general in the army of the Austrian Empire. He was famous for his refusal to defect to the Hungarian rebels during the Battle of Buda in 1849, defending Buda city and castle on behalf of the Austrian Habsburgs. General Staff of the Armed Forces of Hungary is a joint body organised within the Ministry of Defence. The Royal Hungarian Army was the name given to the land forces of the Kingdom of Hungary in the period from 1922 to 1945. Its name was inherited from the Royal Hungarian Honvéd which went under the same Hungarian title of Magyar Királyi Honvédség from 1867 to 1918. Initially restricted by the Treaty of Trianon to 35,000 men, the army was steadily upgraded during the 1930s and fought on the side of the Axis powers in the Second World War. The Hungarian Defense Forces Central Military Band is the official military band of the Hungarian Defence Forces, the national army of Hungary. It has represented the Military of Hungary in the realm of ceremonies for over 40 years. The central band also acts as the headquarters, administrative, and instructional unit for all separate garrison bands in the country. One of the smaller bands that are sported by the HDF Central Band is the National Home Defense Ceremonial Band of the 32nd Budapest Guard and Ceremonial Regiment.